A new study led by Carnegie Mellon University neuroscientists provides the first evidence of how the human brain recovers the ability to function after losing parts of the visual system. Published in Cell Reports, the researchers report on three years of behavioral and brain imaging tests on a nearly seven year-old boy — "UD" — who had a third of the right hemisphere of his brain removed in an attempt to control seizures. Even though the procedure left UD unable to see the left side, the team found that his brain's left hemisphere eventually compensated for visual tasks such as recognizing faces and objects. "These findings provide a detailed characterization of the visual system's plasticity during children's brain development," said Marlene Behrmann, the Cowan University Professor of Cognitive Neuroscience in CMU's Dietrich College of Humanities and Social Sciences and the Center for the Neural Basis of Cognition. "They also shed light on the visual system of the cortex and can potentially help neurologists and neurosurgeons understand the kind of changes that are possible in the brain." UD's entire occipital lobe — which includes the brain's visual processing center — and most of his temporal lobe — which receives both visual and auditory cues — were removed, leaving only two of the four lobes in his right hemisphere untouched. To investigate how the lobectomy impacted UD, the researchers used fMRI testing at five different points over three years to evaluate how he performed certain visual and behavioral tasks. 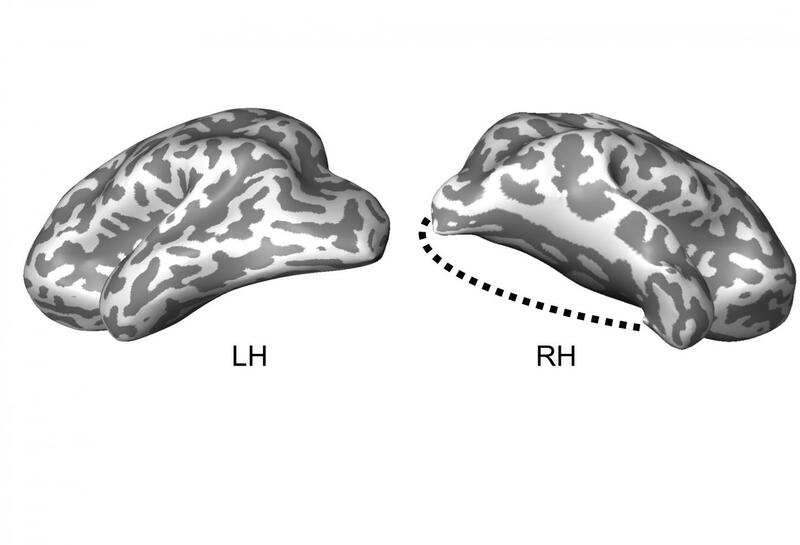 The researchers were surprised that the intact regions of UD's left hemisphere came to do the work of both hemispheres and process faces, objects and words. Specifically, they found that UD's brain reorganized to compensate for some higher-order functions, like analyzing complex visual cues needed to recognize faces and words normally. However, it did not regain the ability to do lower-order functions, such as receiving and transmitting visual aspects from 180 degrees, which leaves the left side blind to him. "The only deficit is that he can not see the entire visual field. When he is looking forward, visual information falling on the left side of the input is not processed, be he could still compensate for this by turning his head or moving his eyes," Behrmann said. "Moreover, by tracking the changes in the brain as UD developed, we were able to show which parts of the brain remained stable and which were reorganized over time. This offers insight into how the brain can remap visual function in the cortex." "More needs to be done to understand which lobectomy patients will show recovery, which will not and why not," she said. "It will also be important to know if patients are more likely to regain functions if the left or right hemisphere is removed and if the visual system is more robust in younger individuals." In addition to Behrmann, the research team included Carnegie Mellon's Tina T. Liu, Mark D. Vida, John A. Pyles, Ying Yang and Erez Freud, the University of Toronto's Adrian Nestor and Fan Nils Yang, of Sun Yat-Sen University.